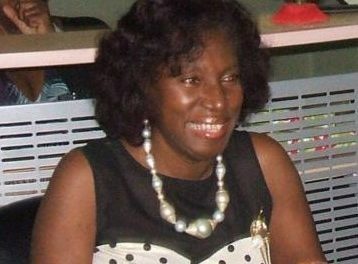 Dianne Marshall-Holdip, assistant registrar at the Hugh Wooding Law School for the past ten years, passed away at 11.05 am at the St Clair Medical Complex on Tuesday morning. She was 61. Her husband of 34 years, High Court judge Justice Malcolm Holdip, told Newsday yesterday, as a cancer patient and with her energy levels reduced considerably, his wife went to the centre for a transfusion but in less than 24 hours she was gone. Dianne had colon cancer which eventually spread to her liver and, according to Holdip, it got more viral and aggressive in nature. The Holdips found out about her condition only earlier this year. Two years ago, she was told she had an abscess on her appendix and was treated for that. Then, once her pain was gone, she was sent home. But after being diagnosed with cancer in January, Dianne flew to the United States and checked into the Johns Hopkins Hospital. Holdip said the doctors there were aghast that such a basic thing was overlooked when his wife was misdiagnosed two years ago. Nevertheless, she immediately began chemotherapy in the US before returning to Trinidad at the end of March. Holdip says he was taking things one day at a time as he prepared to bury his wife, which might not be until next week. He explained he was trying to work around the funerals of two other people he was also close to, David Patrick and Bruce Procope–a relative by marriage of his late wife–who both also died in the last few days. Holdip described his wife as a person who was very generous with her time and efforts and very prone to giving good advice, even to regional prime ministers. Before taking up her post at the law school, Dianne was personal adviser to her school companion and best friend, Speaker Brigid Annisette-George, when she was attorney general. 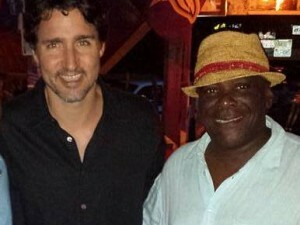 Dianne also worked in St Kitts at the Eastern Caribbean Central Bank and Social Security. 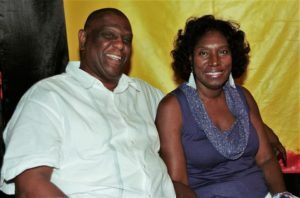 Holdip said his wife’s favourite calypso was January Girl by Lord Superior (Andrew Marcano), since she was born on January 27, 1956. Holdip said Dianne also loved the young crop of monarchs like Karene Asche, Duane O’Connor and Devon Seale. She was a calypso, traditional mas and pretty mas adjudicator for some 15 years before she stopped about four years ago. She also did the same in St Kitts and her birthplace, Grenada. Holdip said his wife was also a “fanatic” of Massy All Stars Steel Orchestra, possessing their T-shirts from the last 12 years. She leaves to mourn her husband, their children Jarrye, Arielle and Yannick – a former Junior Carnival King – her mother Verna Baptiste, sister Sonia Hosten and cousin Jennifer Hosten.